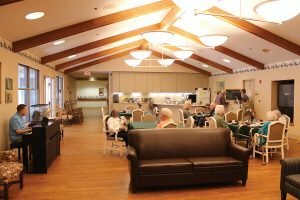 The Memory Support Center offers a unique environment with specialized programming specially designed for those with Alzheimer’s, Dementia or other related memory impairments. Private accommodations in a secure environment with a small neighborhood design where residents are encouraged to personalize their living space. 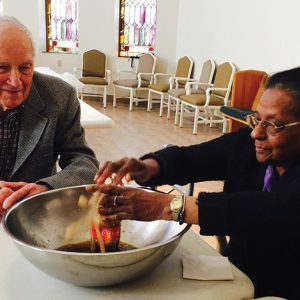 The Natural Awakening Program, allows residents to start their day on their terms. 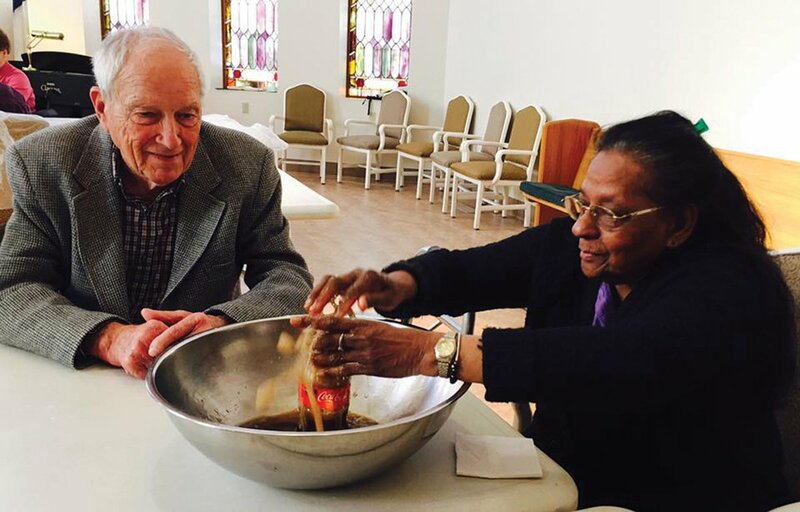 Trained activities staff and Montessori activity area to engage residents with Alzheimer’s and dementia. 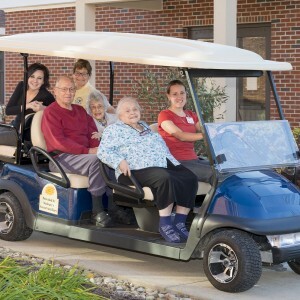 A team of trained professionals follows a Habilitation Therapy Model, ensuring residents experience a carefully supervised, fulfilling and active lifestyle aimed to stimulate memory and independence. 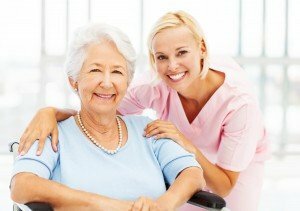 What is the Habilitation Therapy Model? The Habilitation Therapy model is a comprehensive approach to caring for people with dementia by focusing on a person’s remaining abilities. 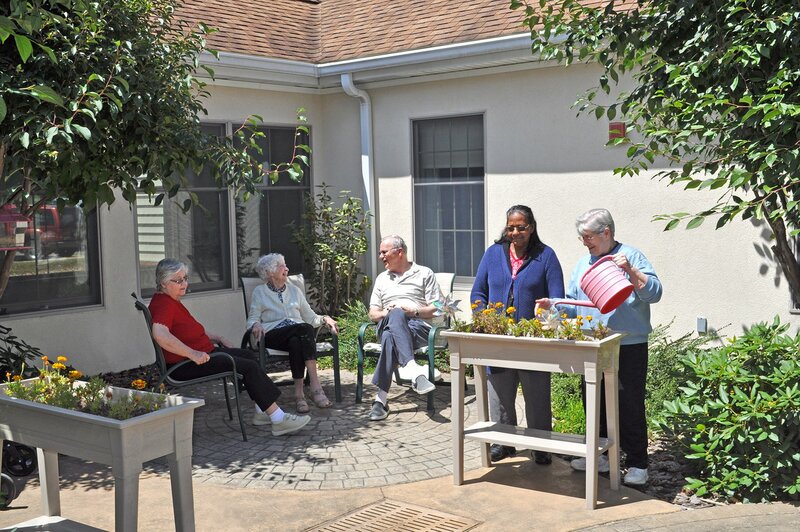 Our life enrichment and nursing staff engage the resident’s capabilities, independence and morale to produce a consistent state of psychological well-being. 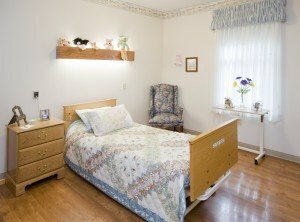 This differs from Rehabilitation Therapy which is designed to return a resident to their previous, higher levels of functioning. Habilitation focuses on optimizing and extending what is possible in the now, allowing for family and friends to enjoy their time together that can produce a more uplifting experience for all involved. Short stays are available for any reason any time of year. Simply bring your suitcase, we will provide the rest! Recovery: Regain your strength, confidence and independence after a hospital stay or rehabilitation before returning home. 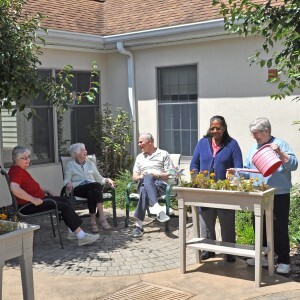 Respite: When your caregiver is unavailable or on vacation, take your own and vacation at Wesbury! Winter: Don’t hibernate! Rejuvenate! Join us and enjoy a worry and hassle free winter! Welcoming living and dining room areas to entertain residents, family members and guests. For more information or if you would like to setup a tour of Grace Rehabilitation and Health Center contact Gwen Smith, Grace Rehabilitation and Health Center Admissions Coordinator at 814-332-9233, or submit an information request online.